Imagine there are severe magical blizzards coming from the south pole at regular intervals. Since they're magical, let's assume they can cross the equator and don't lose strength over time. They are completely independent of seasons and occur in addition to normal meteorological events. As with any blizzard, they are composed of heavy snow fall, strong winds (at least 56 km/h (35 mph)), reduced visibility, and a drop in temperature. However, their duration never exceeds 8 hours. The frequency of blizzards is not defined for now because I don't know at which point a world would become unable to sustain human life (which I don't want). If you truly need a frequency, let's say one every 2-3 weeks. Given a world similar to our Earth, how could life (flora/fauna) evolve? Let's assume that this is all explained by the presence of the element "handwaivium"
The plant life would likely evolve to go dormant for short periods of time, much like some trees have evolved to have layers of bark which burn off easily, letting the trees survive frequent forest fires. The mammalian life would similarly have evolved for short periods of dormancy, there would be plenty of burrowers. Your humanoids would rely heavily upon the seas, with fishing being largely unaffected for a reliable food source independent of season or periodic blizzard. In our current world, many plants are adapted for freezes and many are not. In the Mediterranean-like climate where I live, we get hard frosts a handful of times in the winter. They are always just for a few hours at night. And the landscape is completely altered after just one. The easy answer is to say that plants will evolve to handle freezing temperatures. The reality though is more complex. It's not just about survival. Let's take the example of a fruiting tree like an apple or cherry. Both do great with freezing temperatures and even thrive in climates with heavy winters each year. But one late frost can affect them greatly. A late frost won't kill them, but it will ruin any flower or young fruit they've put out. A single frost at the wrong time, even for just a couple of hours, will destroy a fruit tree's ability to put out edible fruit for the entire year. An early frost, before full harvest, can destroy any fruit left on the tree. Frosts every couple of weeks year-round? Oy. Very few trees could manage that. Oh they'll survive, but they'll have a difficult time reproducing. They'll produce very few viable seeds and the frosts will kill off all or most of any seedlings that come from those seeds. Seeds only sprout when the ground temperature is warm enough for them. It takes weeks or months after winter for this to happen. If the ground keeps freezing, they may never sprout. Or they'll sprout and die before they can grow enough to establish themselves. This is true for all flowering plants that produce fruit, not just fruits humans eat. Flowering plants that produce seeds directly will have similar issues. For a lifeform to evolve, some of them have to survive. Okay, how about non-flowering plants? Plants that reproduce via roots (many do but you need some sexual reproduction for species diversity) or spores (moss, ferns) or seeds (conifers). Some of these should survive and evolve. You still have the issue of frost killing seedlings, but I can see a few making it through regardless. Produce tons and tons of seed/spores/etc. Grow well in shade, at least when small (why? because spots up against a large object will have microclimates that aren't as affected by the frosts). Very root heavy. All plants have extensive roots (more than people often think) but plants that survive this magic will have large and deep root systems. An 8 hour blizzard won't freeze the ground very deep. So deeper roots are more protected. Adapted to eat the plants that have survived (or other animals). Skin/fur/feathers/hair that is well insulated. No molting periods (at least none that are extreme). Can go a day without water. Keep eggs warm after laying (or lay them underground). Care for young after birth. Mammals will have very fatty milk. 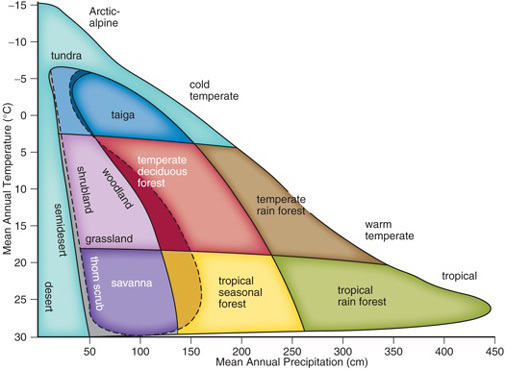 If blizzards are infrequent, temperate lifeforms won't be affected much, but tropical ones would need adaptation. In moderately high latitudes on Earth (50s) blizzards and cold spells are perfectly natural in late spring and sometimes even in the summer. If affects primarily cultures from warmer areas which are not accustomed to such extremes, but species that are native to the area are weathering those events just fine. This magical blizzard is even shorter that a natural cold spell, so I wouldn't expect any noticeable changes in temperate climates. Tropics are a very different story. Many animals and plants there can't survive freezing temperatures even for a short period of time. Thus, I would expect many species to become more "temperate", and others, which depend on large green leaves, to disappear completely. Animals can learn to hide during the blizzards, so I don't expect to have them affected too much. There can be an interesting consequence for deserts, which normally don't see significant precipitation. If they would receive a regular snowfall, they will stop being deserts and become savannas or dry steppes. Not the answer you're looking for? Browse other questions tagged science-based fauna flora weather life or ask your own question. What could make a planet have regular extreme weather? How would large animals and large plants adapt to frequent hurricane weather? How would life on a planet without seasons evolve? Could fruit (specifically oranges) evolve into intelligent life?